Sign in support of the campaign now! 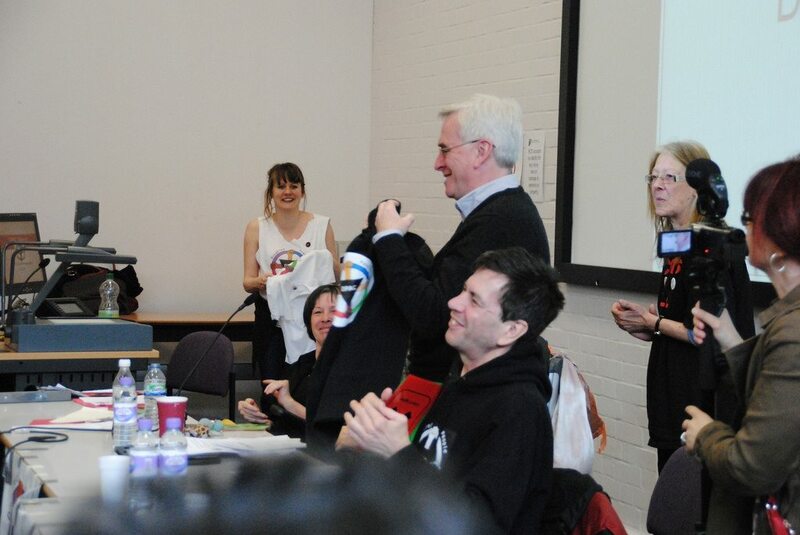 Email Henrietta.doyle@inclusionlondon.co.uk with the name of your organisation or as an individual. Motability agrees to reverse the changes to eligibility criteria for Motability’s Special Vehicles Fund for Drive-from-Wheelchair/Internal Transfer (DFW/IT) vehicles used by disabled people with complex needs. · Motability agrees to conduct a formal public consultation on the changes, including a face to face meeting with current grant users. Until this consultation is concluded and a consultation response report publicly published the changes should be immediately reversed. · Motability agrees to publish clear and full information about the changes on their website. Why the need for the campaign? Motability has changed the eligibility criteria for their Special Vehicles Fund (SVF) for Drive-from-Wheelchair/Internal Transfer (DFW/IT) vehicles used by disabled people with complex needs. We believe these changes could destroy the ability to live independently and be included in the community of those affected. From June 2014 ‘a usage test’ was introduced by Motability regarding DFW/IT vehicles. This test applies to those applying to the SVF first time and current users when renewing their contract (see statement provided by Motability attached). Below is information on how the changes are being implemented in practice. Current users are telephoned some months in advance of the renewal date of their contract and asked if the vehicle is to support ‘substantive employment, education, volunteer working or to enable the disabled driver to provide vital and sole care to another, for example, a school-age child or children or a disabled loved one who resides with the disabled person.’ About 12 hours a week seems to be considered ‘substantive’. It appears that those that do not fulfil this criterion are no longer eligible for a vehicle. Because of the specialised seating on my wheelchair, it is too large to travel on bus. Only 3 weeks ago I couldn’t go to hospital Emergency A&E because the ambulances can’t take me! I was severely dehydrated, they ended up sending a doctor to my home and doing 48-hour IV just because I couldn’t go to hospital. There is NO way I am every going to be employed which is depressing enough, I can’t get voluntary work because I can’t even go and see anyone to consider it (no transport!). I really am so depressed over these changes. These new changes mean I am confined to the distance of my own wheelchair with no access to public transport, and no access to Motability. The independence given to disabled people to drive their own vehicle often means they can become involved in their community and do voluntary activities. Without a DFW/IT vehicle many disabled people will be excluded from visits to families and friends and will be unable to take part in any aspects of social, religious, community, wellbeing activities and political life. In addition these changes will prevent disabled people getting into education, obtaining employment or volunteering unless already involved in these activities and therefore will never fulfil the new criteria for a DFW/IT vehicle. 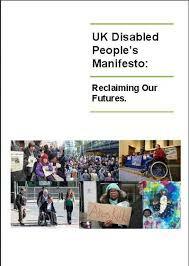 · disabled people’s right to ‘full inclusion and participation in the community’. Disabled people’s organisations are acting together with other voluntary sector organisations to ask Motability to reverses the changes to the eligibility criteria for the SVF for DFW/IT vehicles. 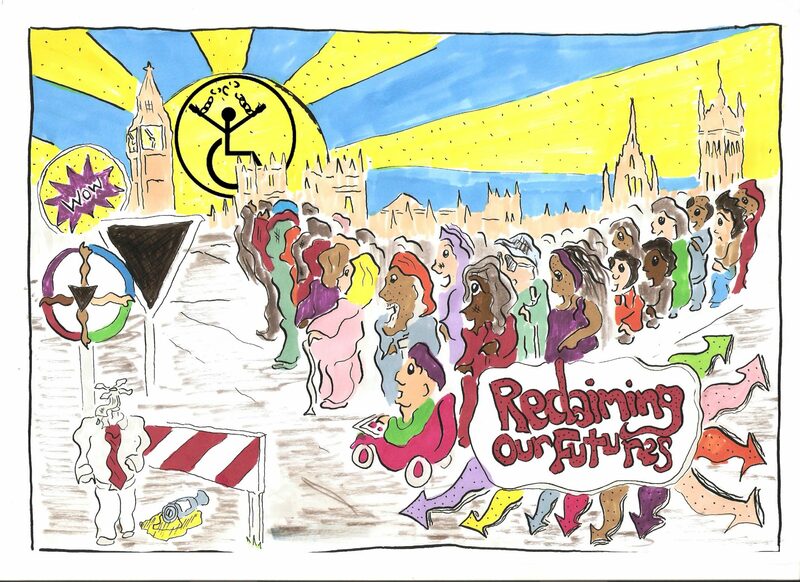 · Sign the petition at: https://www.change.org/p/stop-unfair-and-secret-changes-to-motability-grants#petition-letter 2,500 people signed in the first 3 weeks! · Promote petition, email, Facebook, Twitter etc. · Send letter of protest and case examples to Motability. Join the coalition of disabled people’s organisations and voluntary sector organisations supporting the aims of the campaign above, to do this please email Henrietta.doyle@inclusionlondon.co.uk with the name of your organisation. Please forward this email to your contacts. You could well be forgiven for asking what exactly does the Motability Operations CEO do to attract such a high bonus given that Motability has both a captive market and no competition? That is indeed what MPs are trying to ask. While we all know the facts about thousands of disabled people losing their vehicles due to changes to DLA entitlement Motability have without any consultation or even any public announcement changed their grant making conditions for funding for drive-from-wheelchair vehicles from the Special Vehicle Fund claiming that this is financially unsustainable. This change may not affect as many disabled people overall as the changes to PIP but for those deemed undeserving and unworthy of such funding it is a massive blow to independence and will, as most cuts seem to, prevent disabled people getting an education, getting and keeping employment and being able to take part in society in the same way non-disabled people can. Also of course we should remember that nothing from Motability is really free and that all or part of people’s Motability Allowance has to be paid to them to cover the costs of the hire of vehicles. So how have their criteria changed well now only those who are seen as deserving will be eligible to apply for a grant, needs have not been considered. Given that Motability patrons include Cameron, Osborne and IDS who qualifies as deserving should come as no surprise to anyone. You must be in employment, education or volunteering for at least 12 hours a week or have a child under 14 years of age to be deemed worthy. The issues of need do not calculate in Motability’s assessment of entitlement : things like do you have to travel with a hoist, and bulky equipment, do you live in a rural area with little or no public transport, can you actually use an accessible taxi and is there one in your area are factors which Motability seem happy to ignore. We are asking for the inequality in the way Personal Independent Payment (PIP) claims are handled to be stopped and for those making transfers from Disability Living Allowance (DLA) to PIP to be treated in the same way as fresh claims for PIP. Currently those making claims for PIP have their payments backdated to date of claim. However those receiving DLA do not get their claim backdated even if a change of circumstance means they are entitled to a higher rate of payment. Payments are made from date of decision, meaning current delays, which the DWP admit to, mean claimants losing out on several weeks payments, depending on the length of delay and time to process a claim. This goes against what the DWP themselves have said in response to questions from Susan Elan Jones MP i.e. ‘…the benefit is backdated so NO ONE is left out of pocket’. The current system is in no way equitable and victimises long term disabled people. I am writing to you from a BAFTA award winning independent TV production company called Nine Lives Media and we are currently making a documentary for television broadcast about mobility scooters. We are working with a company called Parkgate Mobility who have mobility shops based in South Yorkshire, Chesterfield and Derbyshire and are currently filming with some of their staff members and customers to reveal the stories of those who depend on their scooters to be able to lead an independent life. One of the stories we would like to cover in the documentary is the changes in Disability Living Allowance to Personal Independence Payments. Our aim is to follow some people who use their benefit payments in order to lease a mobility scooter and are due to be reassessed under the new PIP criteria, but are worried that if their payments are decreased they may lose their scooter. We would like to show how these changes affect those who rely on their benefits and their scooters to be able to get around by following them through the whole process. I believe that from October current claimants whose fixed term DLA is coming to an end will start to be reassessed. I was wondering whether DPAC might be interested in helping us find some people who would like to tell their story on camera and are due to be reassessed for the PIP payments? As a company, we regularly make programmes for the BBC, Channel Four and Channel Five. Our most recent documentary for BBC One was called ‘Pound Shop Wars’, and followed two family run pound store chains as they compete against each other to rule the high streets. The documentary attracted ratings of 4.5 million making it one of the highest rating new factual programmes of the year. Another hit documentary, which we made for BBC Three was Small Teen Big World. The documentary followed a teenager called Jazz who has restricted growth and was so popular that we also made a four part series following Jazz’s life. The series was rated in BBC Audience Research as the most inspiring, most entertaining, most innovative and most ‘fresh and new’ factual series to be broadcast on BBC Three that year. We also won a BAFTA for one of our latest documentaries for CBBC called ‘Me, My Dad & His Kidney’ which followed the story of a 9 year old boy called Raphael who developed a one in a million medical condition which left him fighting for his life. The programme followed his journey as his dad donates his kidney to him and received the biggest audience ratings for the strand, showing we have a track record of making popular and engaging films. 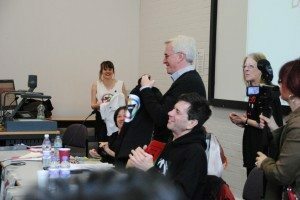 IMPORTANT: John McDonnell has secured a vote in the House of Commons planned for next Wednesday on PIP regulations..
vote against the abolition of DLA and this change to PIP. As well as changes to entitlement to the mobility component please also remember that one in five disabled people are likely to lose their entitlement to any care component. Please email your MP and ask your MP to vote against these changes now.